REEL COH is proud contributing to the success of the John Hart project by supplying to SNC-LAVALIN the powerhouse crane and the tailrace gantry crane. 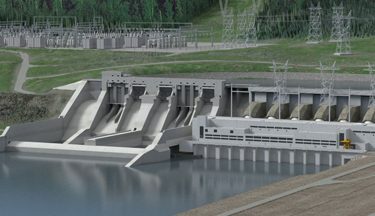 In early 2014, BC Hydro awarded SNC-Lavalin a contract to design, build, finance, and maintain the John Hart Generating Station Replacement Project on Vancouver Island in British Columbia, Canada. As part of the deal, BC Hydro provided 60 percent of the approximately $700 million construction capital cost, with SNC-Lavalin Capital Inc. providing the balance through invested equity and arranged debt financing. The project made history as Canada’s first P3 project in the hydropower sector, and creates a more reliable, safer and environmentally friendly generating station with an installed capacity of 138 MW.